Join us for a morning run -- or walk -- for a great cause at the 8th Annual Junaia P. Carter, MD 5K. 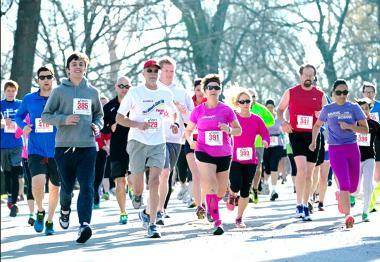 This extension of the 24th Annual AMA 5K will be hosted by SIU medical students on April 20 at Washington Park Pavilion in Springfield. All proceeds will be donated to M.E.R.C.Y. Communities of Springfield. 7 AM: Check In and Race Day Registration begins. Please note that race day registration is $35. This event is for everyone! Register online at runsignup.com/Race/IL/Springfield/JunaiaPCarterMD5KRunWalk. Awards will be presented to the top 3 male and female overall finishers and the top 3 male and female finishers in each age group. All runners registered by April 6 will receive a T-shirt. Raffle prizes and post-race snacks will also be provided.